These model kits come pre-coloured. No painting, No glueing. 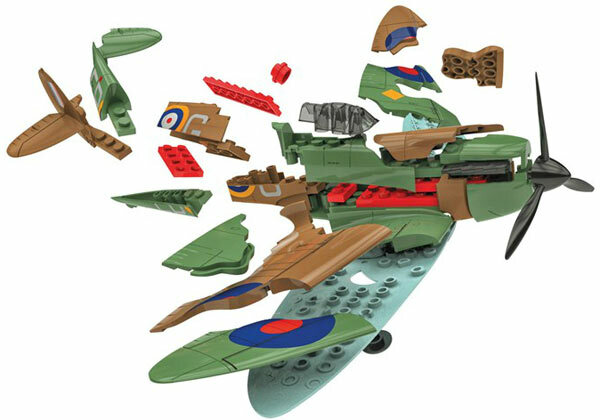 This is just one of many in the new Quick Build range from Airfix. Each kit has between 24 and 37 parts and the product length is up to 216mm. Each model is built in the UK, and comes with its own display stand. The complete QUICK BUILD range won Best New Toy this year in the hobby category at the London Toy Fair, awarded by the BTHA.